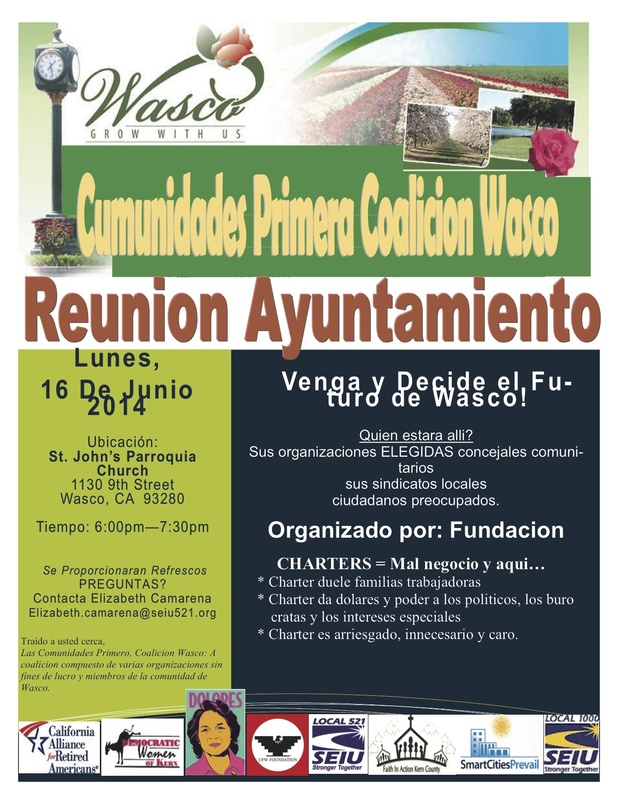 This important meeting will be held on June 16 to discuss the proposed City Charter. 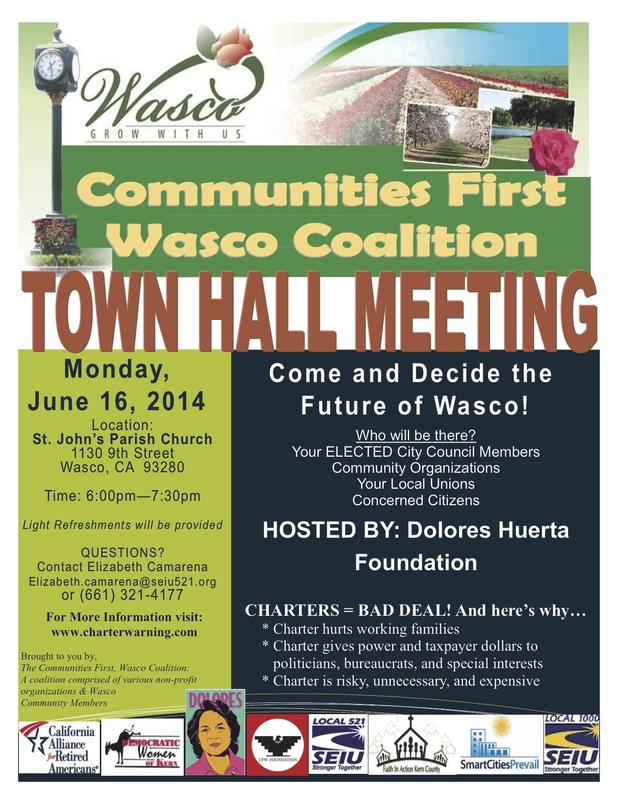 This Charter could fundamentally change the way Wasco is governed – from raising taxes, to deficit spending. It is critical that you make your voice heard on an issue that is so important to our community’s future.